These lessons guide you and your child through the process of “exploding” a volcano and learning about how they work! Do you know why a volcano erupts? Over thousands and thousands of years, the gas bubbles inside of magma (hot liquid rock) expand and cause pressure to build up. When that heat and pressure pushes on weak spots in the Earth’s surface, it is eventually forced up and expelled. This lesson demonstrates that idea. Adding vinegar to baking soda causes a chemical reaction which mimics the appearance of an actual volcano! Once you have made a volcano erupt, it’s time to settle in and learn a bit more about how they work. 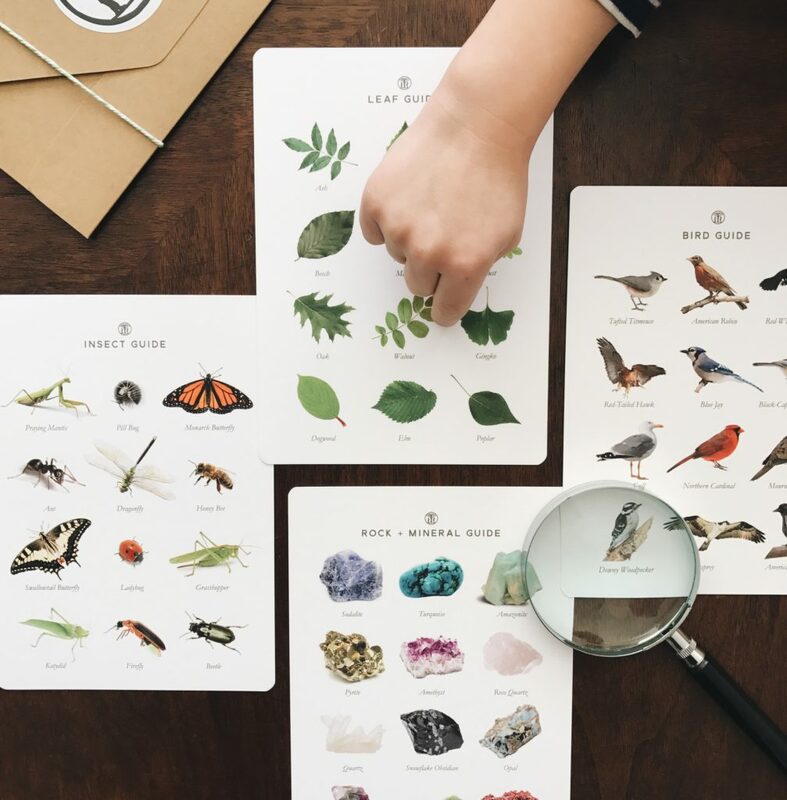 The next activity includes vocabulary development, handwriting practice, and scientific discovery all rolled into one lesson! 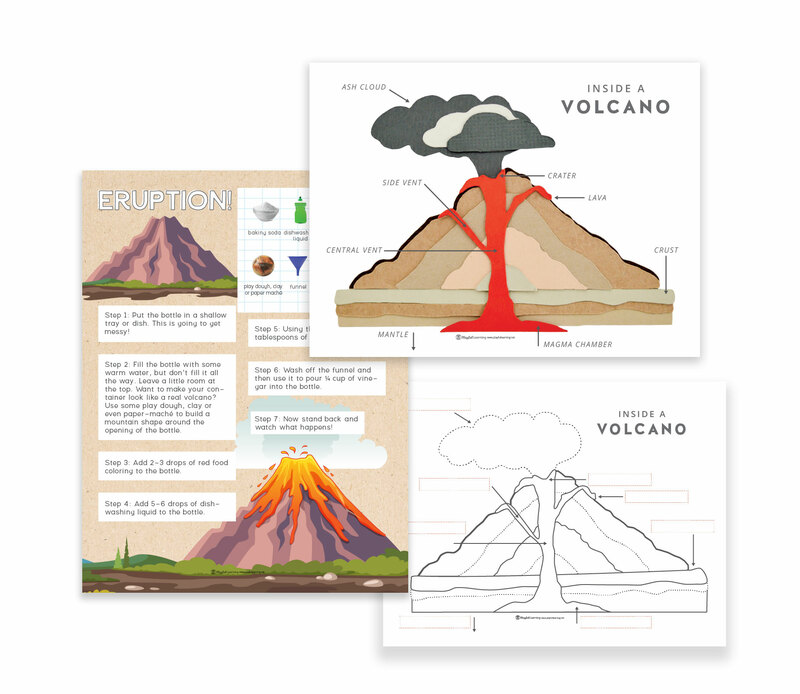 In this lesson, children identify the different parts of a volcano and learn about their functions. Label the parts of a volcano or use the printable as an invitation to build one out of play dough, clay, or paper mache. 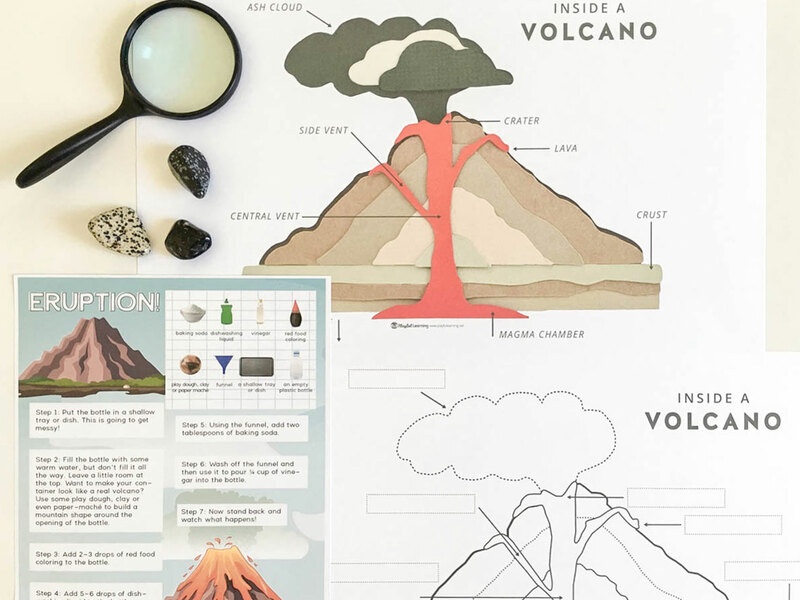 Junior volcanologists might even want to make an observational drawing or learn more about the different types of volcanoes. So hang up the diagram and put out a collection of resource books to give your scientist the freedom to explore and discover. Crust: The outermost part of the Earth that is composed of rock. Magma Chamber: The area below the earth’s crust from which magma flows out. Central Vent: The main opening of a volcano where molten magma is released to the surface. Side Vent: Smaller openings through which ash, gases, and lava escape. Lava: Rock that is hot enough to be in liquid form and expelled during an eruption. Crater: A small depression at the top of a volcano which has gotten blown off after an eruption. Ash Cloud: Small pieces of rock, minerals, and volcanic glass that are discharged into the area during an eruption and then carried further by the wind.